All FAR team wishes you a very happy new year, health, happiness, many miles in Alpine and Renault Sport and many successes. Download your free 2009 calendar! Cécile06 participes regulary to the FAR photo contest, she has realized a full 2009 calendar, using pictures of this contest. For this 2008 year, modérators and me, we have planned to create the first 'Oscars of the FAR'. We will reward the most deserving photographers in 2008! We wanted to offer AlpineRenault.com, a more modern design. This required think of a complete overhaul of the site and adopt a more flexible technical solution. AR AlpineRenautl.com et plusieurs FARNAutes support Alpine Jaronn team from Netherlands. Randall Lawson has created a 1/43 model of his A310 of competition. With some others fans coming from others forums, we have started to identify all Alpine A44x. More and more visits of AlpineRenault.com! You are more and more to visit our web sites. For 2008, we have counted near 2 900 000 visits! 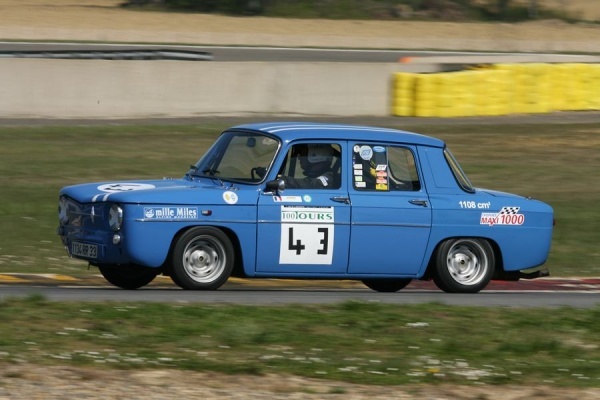 FAR Forum Alpine Renault count now more than 4300 member and near 120 000 messages. If you have participated to an Alpine and Renault Sport meeting or a rallye, you would not hesitate to speak about it in the FAR or to send us pictures and report. They could be published on AlpineRenault.com for free. This letter has been sent to more 7500 fans. So, if you want to receive the next one, please to subscribe to List AR.